The Boxelder bug is a pest that likes to invade homes in the spring and early fall. After their winter hibernation, they’re ready to forage for food and get warmth from the sun on your home. During the summer season, they will go out into the forest as much as two miles from your home to feed and mate. Some homes will have such a severe infestation that they will have activity in their homes the entire summer! The reason for their presence in the fall is so they can start to locate an area in or around your home to hibernate for the winter, as it will be too cold for them out in the trees. The areas they are looking for are behind the gutters, in the attic, any crack or gaps in your siding and the wall voids. 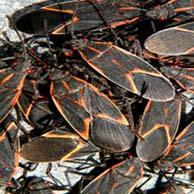 The only thing about Boxelder bug is that they won’t harm your home; they are only a nuisance pest. They’re still very troublesome to have on your home when they come by the thousands though! 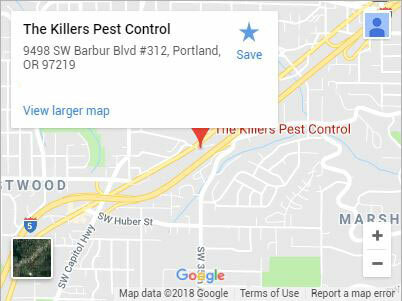 Most people don’t want to come home to siding that’s more insect than siding material, so if you’ve had enough and need to exterminate Boxelder Bugs from your Home in Portland, contact The Killers today! The Boxelder bug will vary in color especially in the amount of red or orange you see on the top of the wings. Some will only have coloring on the underside of their wings when they fly. The color of the body can also vary from a light brown to a black. The easiest way to identify them is when you see clusters of bugs in your siding. They will come in more than one size as they grow. First, there is a bright red egg then from there you will get a couple of nymph stages and then on to the adult. The best way to treat for Boxelder bugs is to stat with a spray on the exterior of your home. Next, we can treat the attic as this is a very common area for them to stay during the winter. Finally, we spray around the perimeter of your home as they will forage on bark dust and around your plants. 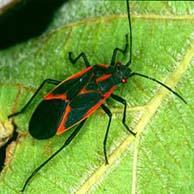 Boxelder bugs, unfortunately, can forage a great distance, so their return is very likely. This means that it will most likely take more than one treatment to limit the activity you’re getting on the exterior or interior of your home. Usually, a couple of treatments in the spring and fall will greatly reduce the activity in your area. 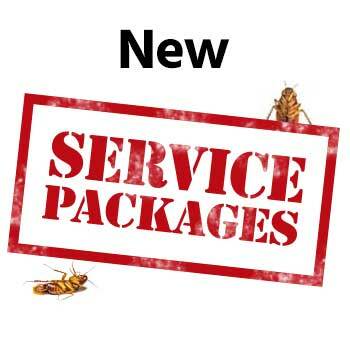 Our Boxelder bug services come with a one year guarantee and will include a semi-annual service. 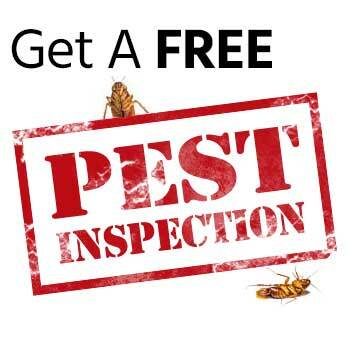 During the coverage year if you notice more Boxelder bug activity then all you have to do is call and those services are included as well. The only requirement is that after an application, you give the product 3-4 weeks to take effect.